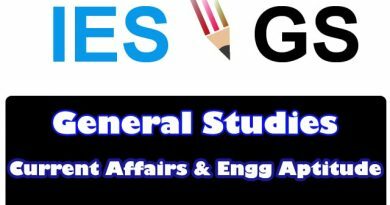 After Very Hardworking by contacting Toppers of Indian Best Institute, We Have Got Gk , GS & Current Affairs Notes which will be very-very Important for your All competitive exams Like IES, UPSC, State PSC, SSC, UDC, SSC JE, RRB, Junior Engineer, Senior Section Engineer, SSE, PSUs and so on. These Notes are the Combination of Some Handwritten and Some E-Books which are taken from Top Indian Competitive Exam Institutes and All Notes are Printed with the high-quality printer so that Visibility & Quality should be the best. These Notes are full of Quick Tips & Tricks Which Are Very-Very Important For Your All Related Exams. We’re glad that you found what you were looking for. It is our goal that you are always happy with what you bought from us. If You Would like to get Good Marks in Your competitive exams, then Buy all Notes and start preparation from today. 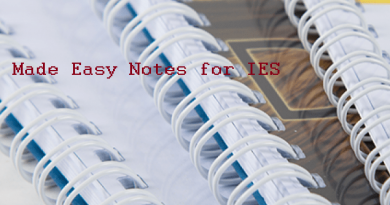 Note : Some Notes have Smaller in File Size, This is Because some notes are compressed from its original size to resolve any kind of Technical server Failures & Downloading Issue, So Don’t Worry About File Size, All Notes Listed In this Website Cover Complete Syllabus, Which is sufficient for Any Type of Competitive Exam. Important: With proper dedication, the focus of mind, motivation and hard work one can crack Any Competitive Exam with good scores. ← Workbench Ansys Problem Solving Techniques Download ! 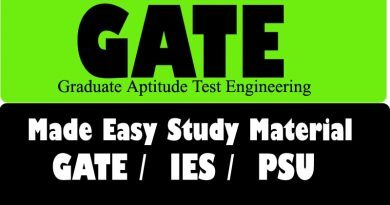 GATE Toppers Handwritten Notes Metallurgical Engg( MT)GATE 2020 ! This Notes is in form of PDF , which is instant download and Link will unlock instantly after target payment..